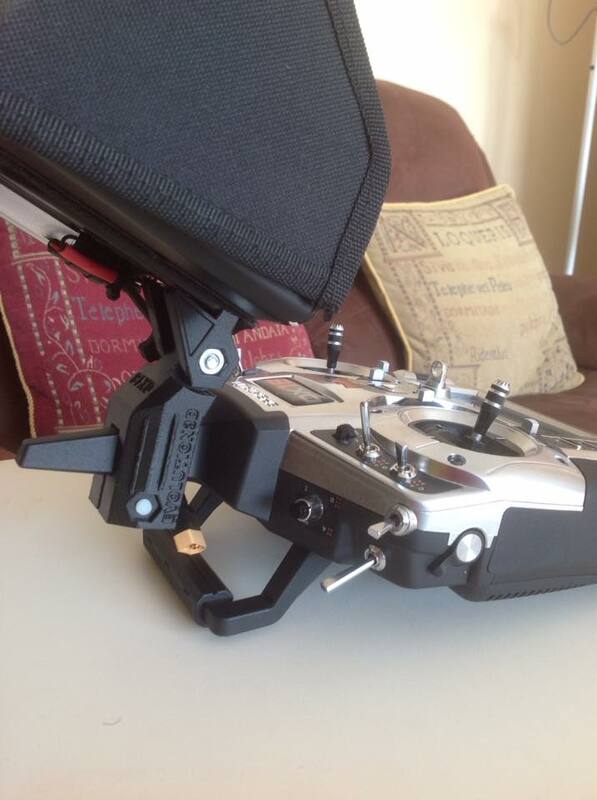 Deluxe FPV LCD Mount.. for the DX18 Transmitter.. Just snaps on.. Extremely Strong.. Tilt Adjustable.. Quick Release Secure Fit.. 1/4-20 Camera Screw Included.. Uses a nylon thumb screw/nut for section near antenna.. this is to reduce any potential interference.. 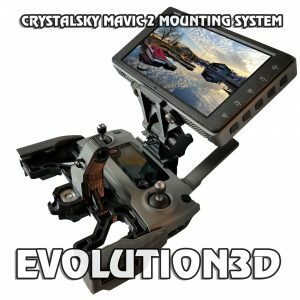 Compatible with 95% of the FPV monitors out there..
100% compatible with the 7″ Black Pearl Monitors. 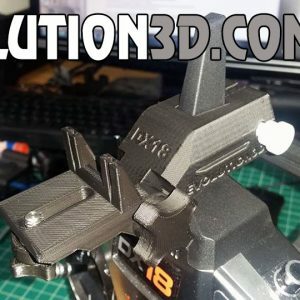 You can even remove your battery while the Black Pearl Monitor is attached to the mount. 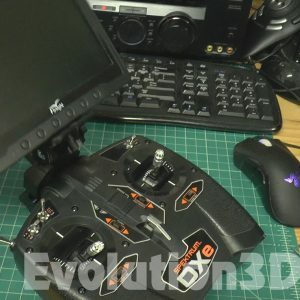 For those using the Spektrum DX transmitters with the molded antenna. Its a real problem fitting a spotter scream. 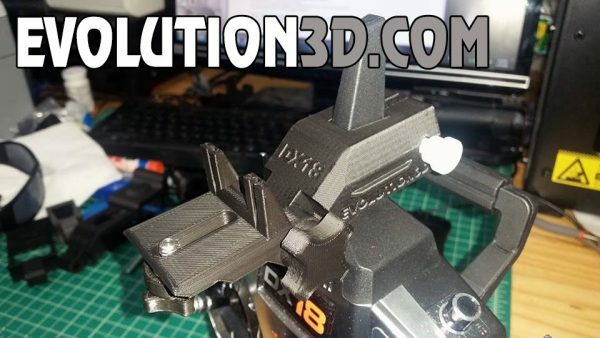 I got this 3D printed plastic fitting specially for the job from Evolution 3D in the USA. Very pleased with it .